The next time you’re craving P.F. 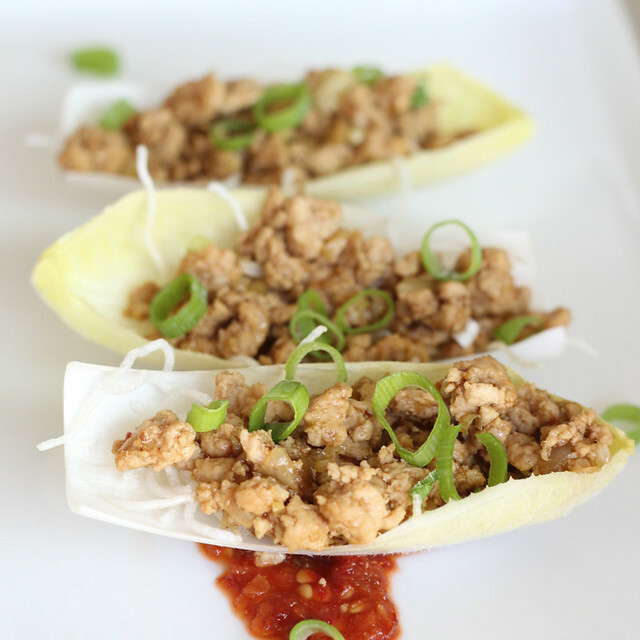 Chang’s chicken lettuce wraps, skip the restaurant run and whip up this crowd-pleasing recipe instead! Served in endive boats in lieu of iceberg lettuce leaves, you get a nice nutrient boost as well as an elegant, bite-size presentation. Whether you choose to enjoy them as an appetizer or main course, they’re sure to be a hit! Where else can you see endive leaves standing in for lettuce? Let’s talk in the comments or on Facebook or Twitter! Trim and discard very end of the endives. Separate each into leaves, reserving hard, white ends (see photo just above) for sauté. Arrange leaves in a bowl; set aside. 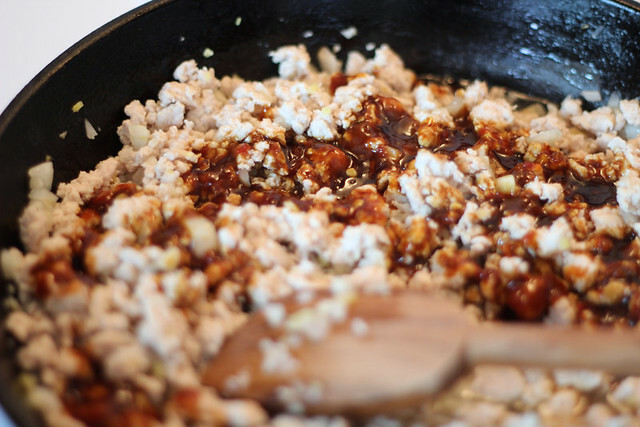 In a small bowl, stir together hoisin, oyster sauce, soy sauce and chili-garlic sauce; set aside. In a large skillet, warm sesame oil over medium heat until shimmering. Add minced garlic and ginger. Cook, stirring constantly, until fragrant and garlic is just barely beginning to turn light brown (about 1 – 2 minutes). 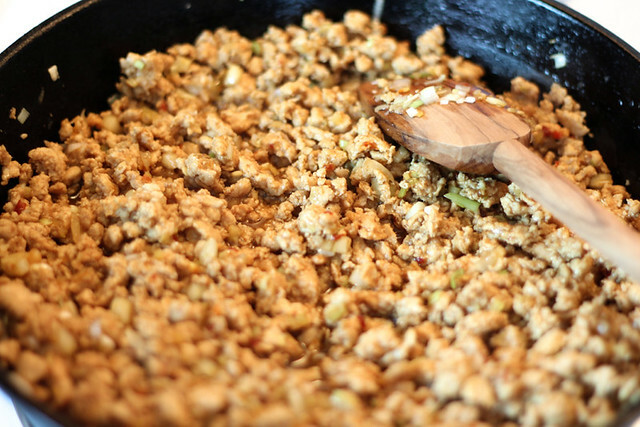 Add ground chicken to the skillet, and smoosh into an even layer (ground chicken is a lot less crumbly than raw ground beef, so it’s hard to crumble at this point…we’ll get there). After about 1 – 2 minutes, begin chopping chicken into smaller pieces. Continue cooking, stirring and chopping up more as needed, until pink color is nearly gone (about 5 minutes). Stir chopped endive ends to the skillet with the chicken, and cook for about 1 minute — we don’t want them to get too mushy, just slightly softened. Stir cooking sauce into the chicken, and continue to simmer until chicken is cooked through and sauce is somewhat thickened (about 2 – 3 minutes). Remove pan from heat, and stir in chopped scallions (white and light green parts only). 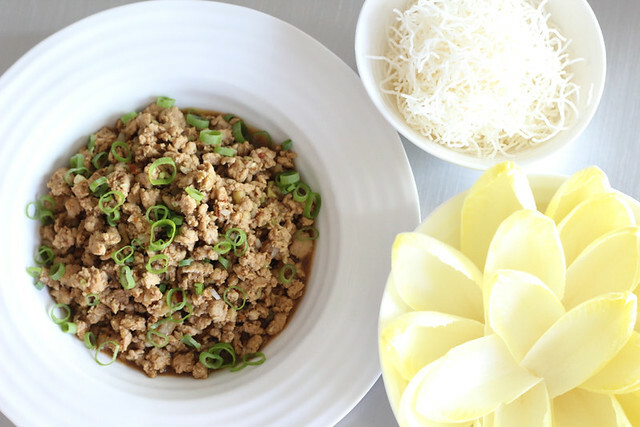 Transfer chicken mixture to a serving bowl and garnish with dark green scallion rings. Set out bowls of endive leaves, chicken and rice noodles, plus additional chili sauce. Allow your guests to top each leaf to their liking — just like at the restaurant! 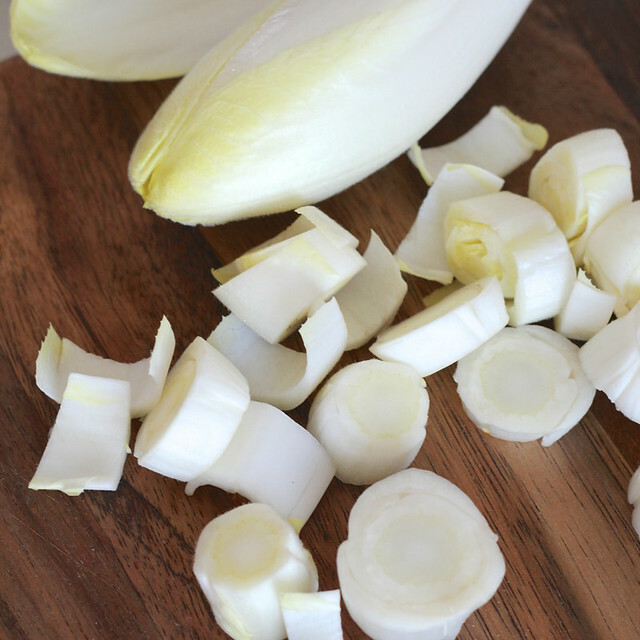 Love the idea of serving these in endive cups, it’s so much easier than fooling with wilted lettuce — brilliant! Oh. My. Gosh. These look incredible! And they look like they are a mile better than the P.F. 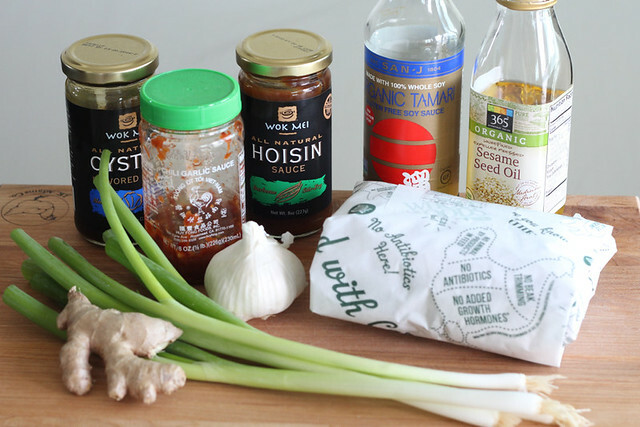 Chang lettuce wraps! Pinning! I’m blushing over here — thank you for all of your kind words!! These look and sound amazing! Whenever I am in the US, I love to order the lettuce wraps from PF Changs! So exciting to make these at home. These are gorgeous! One of the first things I order when I make it to the States. Love that I can make these beauties at home. Endives are actually called chicory here in the UK, and it confused me so much when I first moved here. I love them though, and this is a great idea to use them as lettuce cups. Perfect for party appetizers! Oh gosh, I can only imagine :). Thanks so much! 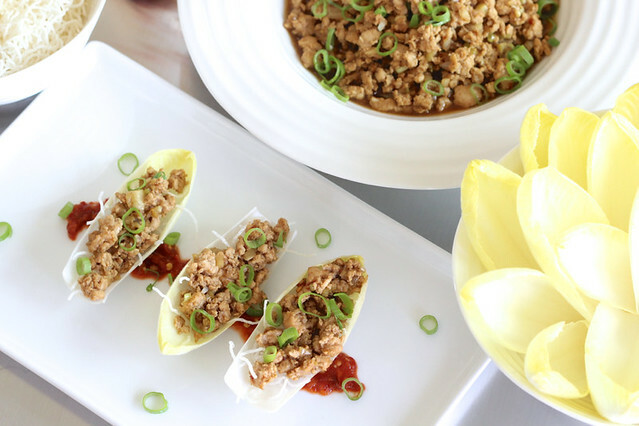 Wow, Heather- I’ve never thought to use Endive over lettuce for the ‘wrap’ part- I’ve had these at PF Chang’s but yours look incredible, especially seeing as that Chilli Garlic sauce is something I could eat by the spoonful!